We finished this lovely little book a few weeks ago. 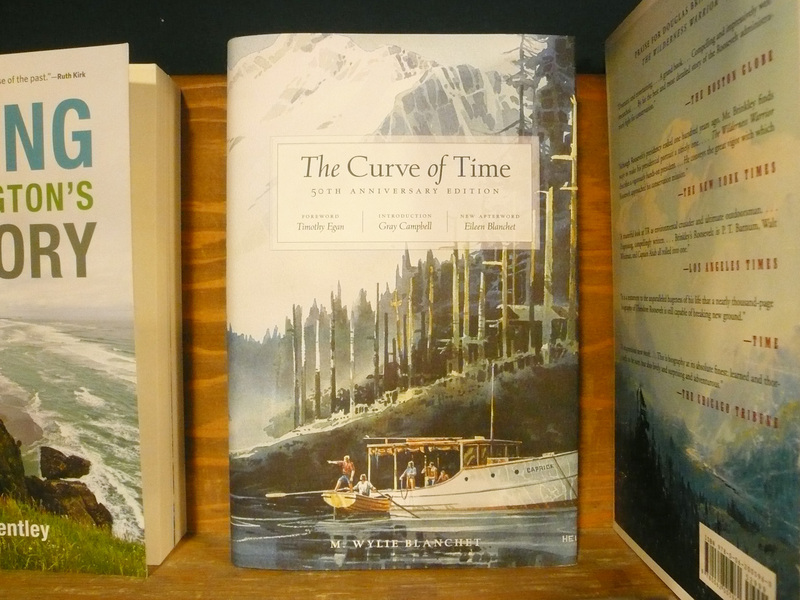 It’s a collection of stories, told by Wylie Blanchet, of cruising the coast of British Columbia in the summers of the 1920s, with her five children (and sometimes a dog), in a 25-foot motorboat. They traveled at a time when the BC is coast was changing from a traditional land to a modern one. They came across Indian villages abandoned for the summer, remote inlets with perhaps a single cabin and a sole occupant, and, at one point, a bear, which the children mistook for a man standing in the forest watching them. These days you don’t often read about adventures as told from the perspective of a mother and her children but there they were cruising up the coast of Vancouver Island, a woman and her five children setting off every summer and coming back with adventures to tell.